Patanjali defined asana as a position one could hold comfortably without effort. For an extended period of time. The whole point of the 1000’s of postures out there, was to be able to sit in a meditation pose. Going deep into the experience without the body being painful or distracting. Another principle of asana is to deepen and expand awareness. Much has been written about the positive effects of easing ones way into various stretches and poses. The reason being simple. The body works better when it moves. The more it moves in various ways, the better, more supple, flexible, stronger and healthier we become. When we start with poses, we usually have to spend a long time getting the body flexible, soft, stronger and more supple . This allows energy to flow more freely, stress to be released from our muscles and cells, and the body to rejuvenate itself. The approach is one of regular daily practice. Mastering the postures. Cultivating awareness. Using breath to deepen the pose. 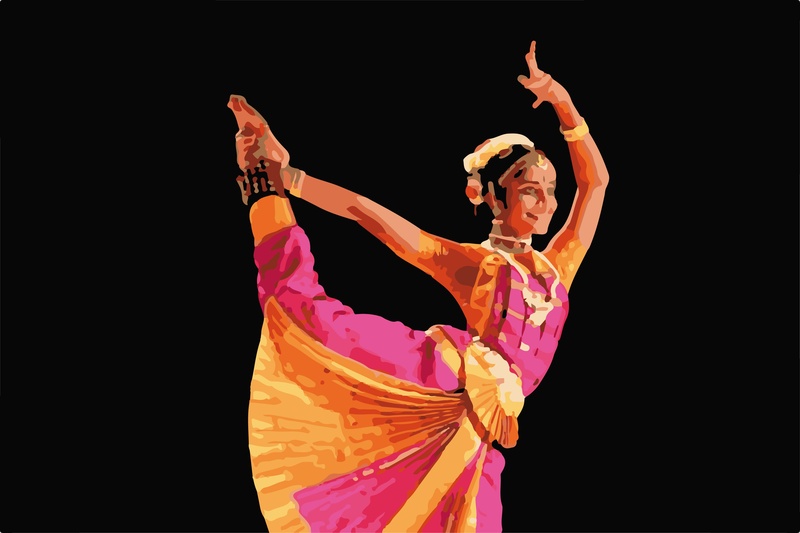 Conscious dance is a formless form of doing postures. The principles behind the practice, are the same. We move and dance, allowing our bodies time to open to new ways of moving which over time leads our bodies to becoming more supple, strong and fluid in it’s movements. Our proprioreception and co-ordination improve. We listen carefully to the feelings and sensations in the body. Become aware of our breathing moving inside the body. Connect breath and movement and awareness into a moving meditation. The more regularly we do it, the greater the benefits. As it is formless, we spontaneously allow the body to find postures and gestures to hold. Repetitive movements as well as movements leading one into another. We discover how we are moved by our thoughts, our emotional states, our energy levels. We begin to develop our own movements and postures with the understanding of how they affect us, physically, mentally, emotionally and psychically. As we cultivate more of the witnessing attitude and allow, body wisdom takes over and the body begins to untie the knots itself. We follow flows of energy and move in ways that improve and enhance it. We begin to feel more alive as we expand into and open to our greater potential as a human. Ultimately we become creative in a way that enhances our experience of life. We move with grace and ease through the peaks and valleys of experience. Between the highs and lows. Free in all of it. At this stage there is no need to try move, we simply allow the body free reign. We build trust in our self. The practice becomes effortless. The body becomes very responsive and tuned to both inner and outer landscapes. It moves with what is moving inside and out, and finds the perfect form and movement possible. The body manages the energy as it finds ways to move and ways to rest in movement. There is a tendency as it continues like this, for the energy, frequency and vibration of the body to rise and expand. With this expansion, new perception and experience open up in our energetic, mental and psychic bodies. Faculties within our being’s that had been lying dormant, become activated. We begin to move into a fuller greater version of ourselves. With this our creative faculty increases. Our ability to solve problems and process the “stuff” of our lives improves. All of this through the body and often bypassing the mind. The implications of this are huge. The body becomes a way of moving in the world that it is as valid (if not more) that using our intellect, which is often where we get stuck. Just like in the old days, in the forests where yogis came up with the various forms and poses, observing their effects on the human being. Conscious dancers have an opportunity to discover within their own being the language of movement, gesture, expression, awareness and wisdom. And all we have to do is bring ourselves onto the dance floor and move. Keep doing it, until you are dancing in all aspects of your life. At that stage conscious dance is no longer a practice, it is a lifestyle.